Home > Health Issues > Ears, Eyes & Dental Health > Eye Health > PetAlive Eye-Heal - Natural Cleansing Solution for Pet Eyes - 2 oz. Eye-Heal is a natural cleansing solution to soothe eyes and maintain eye health in dogs and cats. 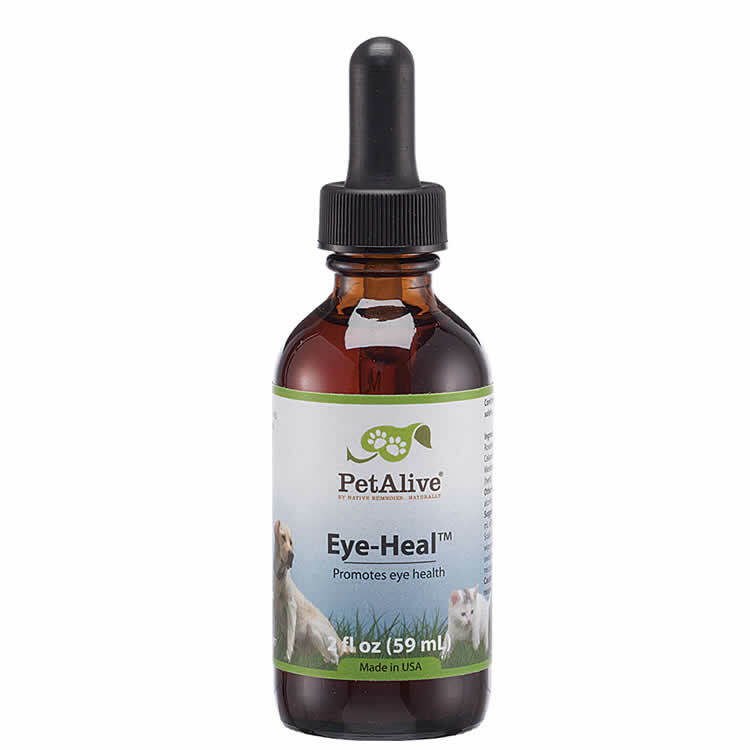 PetAlive Eye-Heal contains natural ingredients in an herbal tincture and will improve general eye and visual health. To relieve pain and soothe eye dryness and discomfort. 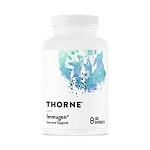 To reduce inflammation and soothe the eyes. As a general tonic for the eyes. So glad we got this for our dogs eye problem. He had a green film that would not go away in his left eye, and his eye was very irritated. I applied it twice a day for a week and sure enough it took care of the issue! Definitely worth trying before having to pay for a visit to the vet which can be quite costly!! I definitely recommend this product. Been using Eye Heal on our cat for years. It's a great product. Burdock (Arctium lappa) is a cleansing and eliminating herb and is excellent at detoxifying the tissues and removing unwanted substances from the body. Burdock stimulates functioning of the immune system and is very useful in the treatment of dry eyes and eye infections. Rosemary (Rosmarinus officinalis) is well-known as a topical antiseptic/disinfectant and pain-relieving herb. Several of the compounds in rosemary have also been shown to have anti-inflammatory effects. Greater Celandine (Chelidonium majus) is used to boost the immune system and combat infections. Also known to sharpen sight, promote healing and act as an analgesic (pain killer). Meadowsweet (Filipendula ulmaria) has astringent, antiseptic and anti-inflammatory properties and is excellent for soothing and healing infections of the eyes and conjunctiva. Dilute 5 drops in approx. 20 mL of freshly boiled water and leave to cool. Soak a clean cotton swab in the solution and gently wipe eyes from inner to outer corners. Use new swab for each eye. Repeat 3 times daily when necessary. NOTE: Do not use an eye dropper to adminster this product -- apply with cotton ball or swab. For external use only. Each bottle contains 2 oz. One 2 oz. 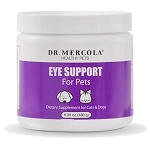 bottle of Eye-Heal will last for 15 - 60 days with daily use, depending on the needs of your pet. For more information, visit our webpage Conjuntivitis in Dogs and Cats.